A former bank is one of the Uphams Corner properties being considered for a new library branch. A glance at Uphams Corner shows Boston’s building boom hasn’t made its way here — yet. A check-cashing business sits at the corner of Dudley Street and Columbia Road, and across the street, the Payless ShoeSource on the first floor of the Pierce Building is gone, a victim of the retailer’s filing for bankruptcy protection in 2017. Two former bank buildings are empty, and what was once an indoor swimming pool houses part of the neighborhood library branch. 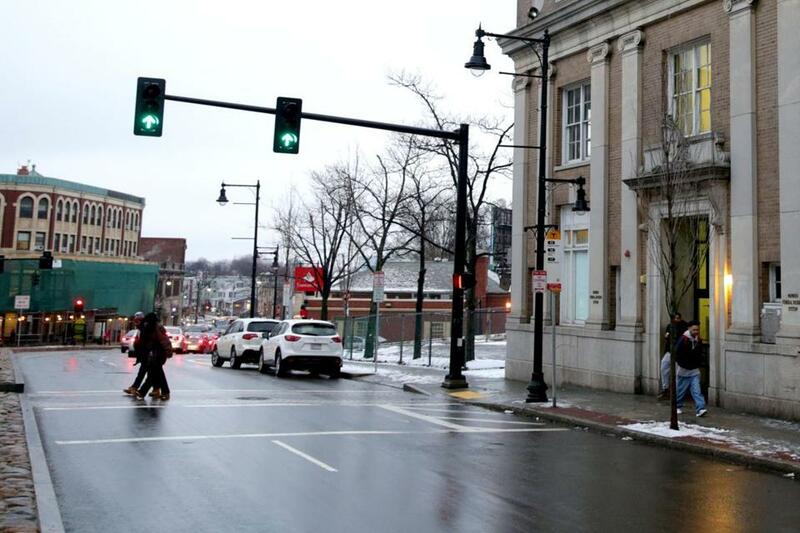 But city officials know the waves of gentrification are approaching, and so do the residents of this Dorchester neighborhood, who worry an influx of affluent renters could spur a rise in rent that will drive out longtime low-income residents. In an effort to avoid that fate, the city and its partners are trying to act preemptively, acquiring property before the private real estate market pushes prices too high. 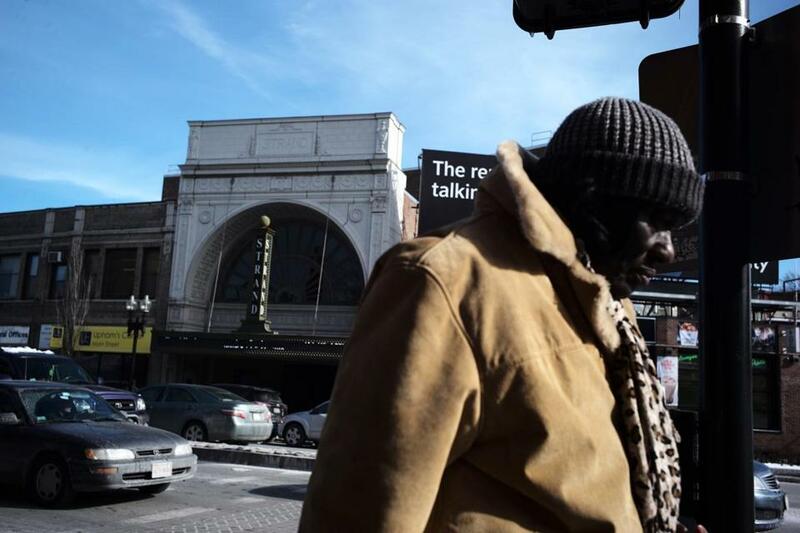 The city aims to redevelop the properties based on recommendations from residents, said John Barros, chief of economic development for Mayor Martin J. Walsh and an Uphams Corner resident. If the effort is successful, city officials envision it as a potential model for neighborhoods on the brink throughout Boston. The delicate balance the city seeks in Uphams Corner — promoting economic development without sending existing residents packing — has proved to be difficult in nearby neighborhoods. In Dudley Square, Boston poured $120 million into the Bruce C. Bolling Municipal Building and moved 500 Boston Public Schools workers into the space. Still, two early tenants, Tasty Burger and Dudley Dough, have already closed, and residents say crime remains a problem. In Uphams Corner the process began last year, when the city purchased the former Bank of America building on Columbia Road for $250,000. A community land trust run by Dudley Street Neighborhood Initiative bought the former Citizens Bank branch across the street for $1 million under the condition that whatever goes there remains affordable. Those sites, plus the city-owned Strand Theatre and a municipal parking lot, provide three to four acres where the city could build the library branch, which is expected to cost $18 million, Barros said. 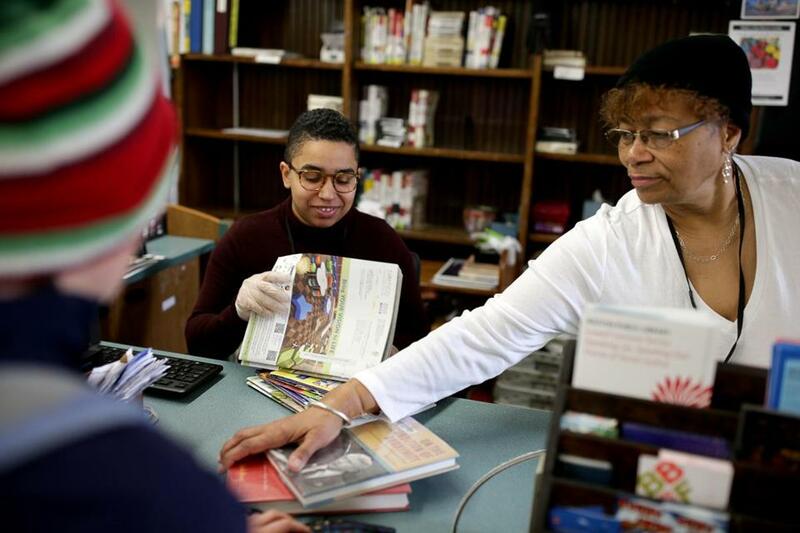 City officials are looking to move Uphams Corner’s library branch as part of an overall plan to channel growth in the neighborhood. Residents have told city officials at planning meetings that they hope the neighborhood becomes a destination for arts and culture, but one where commercial and residential rents are affordable. Between 2012 and 2016, the median residential rent in the ZIP code covering Uphams Corner was $1,216 per month, about $150 less than the citywide median, according to Census Bureau figures. A city report released last year said that Uphams Corner is one of the most diverse neighborhoods in the country, but that its residents lag behind citywide averages in terms of earnings and educational attainment. The median household income for the area is about $41,000 a year, the report said. The city hasn’t released specific plans for the properties it controls, but neighbors have expressed preferences. A date for starting library construction hasn’t been set, a library spokeswoman said. In one scenario, the library would set aside performance and rehearsal spaces for artists and a design lab for graphic arts. Another idea calls for building affordable housing above the library branch. There’s also been discussion of building a structure connecting the new library to the Strand Theatre. Some residents hope designs for the library include a rooftop garden or interior courtyard. The former Bank of America building could be used for housing. 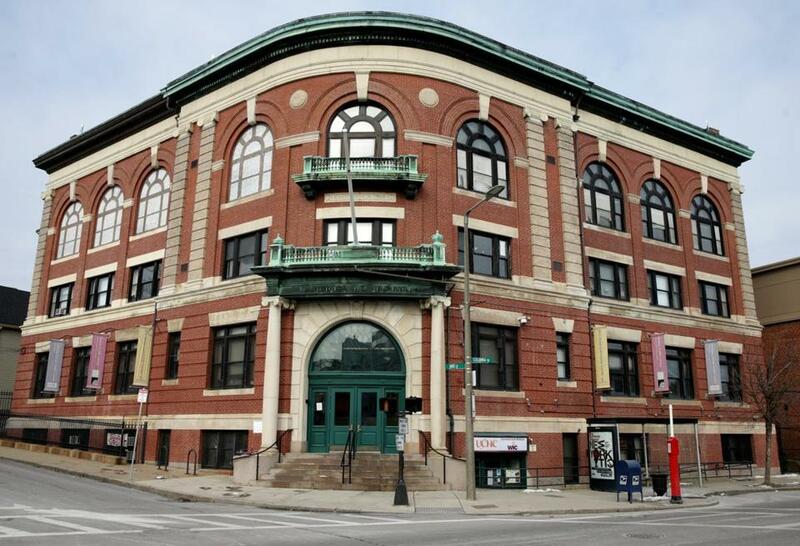 The Walsh administration included the property in a pitch it recently released to collect ideas for redeveloping 83 city-owned buildings to ease the city’s housing crunch. Librarian assistants Isabel Monteiro (left) and Denise Campbell worked at the current library branch. Some revitalization work has begun. Construction started in May to improve the Strand, a former movie house that opened in 1918. The city said it is spending about $3 million for upgrades, including installing an elevator and sprinkler system. During construction, the theater can’t accommodate as many performances and rehearsals, said Julie Burros, the city’s chief of arts and culture. Later this year, she said, the city plans to seek a new operator for the 1,400-seat theater, saying it is difficult for city government to run the space. “We would like it to be community-oriented and community-driven and not contribute to forces of gentrification,” said Perry Newman, the organization’s chief executive. Worries about gentrification ran high among residents at a recent planning meeting, where organizers displayed index cards that neighbors used to express their hopes, fears, and questions about the future of Uphams Corner. Japonica Brown-Saracino, who teaches sociology at Boston University, said building affordable housing is one way to keep residents in a neighborhood. “When economic revitalization is done well, it should benefit many of the people who are already in a neighborhood,” she said. Some residents said the area has already started to change. Bob Mickiewicz, 62, said rising rental prices have already forced some people to move. But Bob Haas, 73, a community activist who moved into a dilapidated house on Monadnock Street during the 1970s, said the time is right to breathe new life into the neighborhood. Construction started in May to improve the Strand Theatre, a former movie house that opened in 1918.